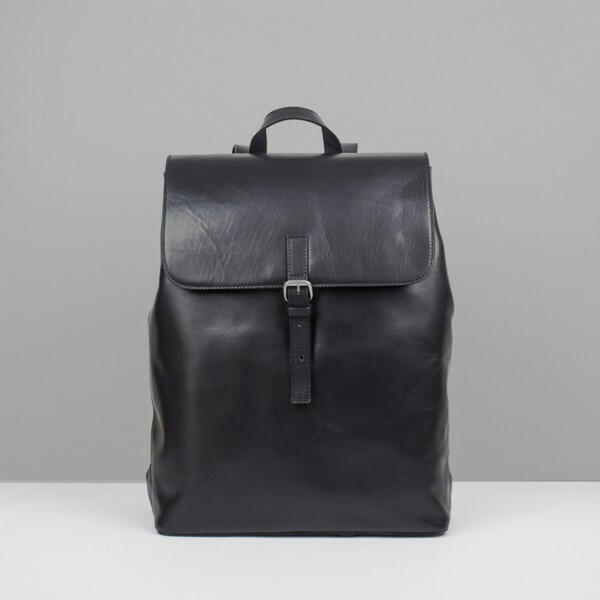 Veg Tanned Leather Backpack with front flap with single buckle closure and interior latching magnetic closure for a comfortable use. Exterior back zip pocket that allows you to access the leather pocket inside the backpack. Adjustable straps. Double leather base. Dust bag included. Width / 30 - 11.8"
Depth / 11 - 4.33"